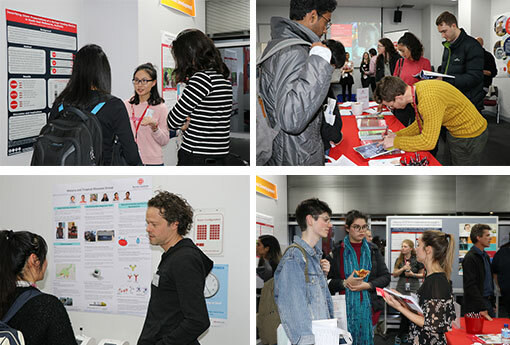 A bumper turnout of more than 200 “next-Gen” scientists and researchers attended the annual AMREP Student Night, showcasing project and career opportunities for 2019. 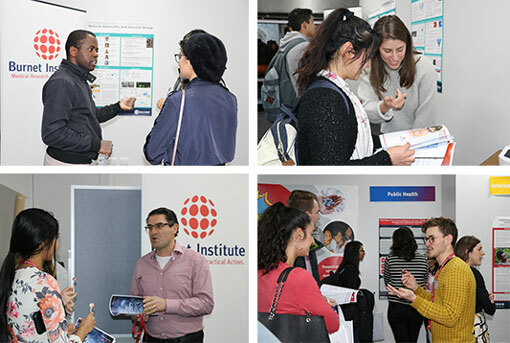 Burnet was well-represented with staff and current students from across the three technical disciplines - Life Sciences, Public Health, International Development - keen to advise the potential postgraduates of what fantastic opportunities were available. 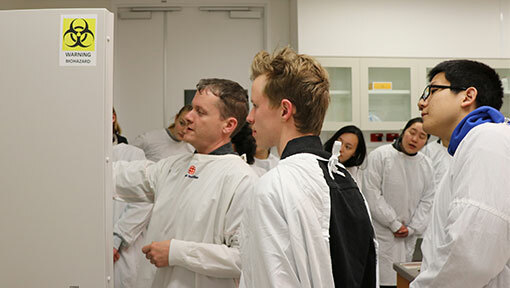 Touring Burnet’s labs was also very popular and a great chance to see ‘behind the scenes’ of a medical research facility. 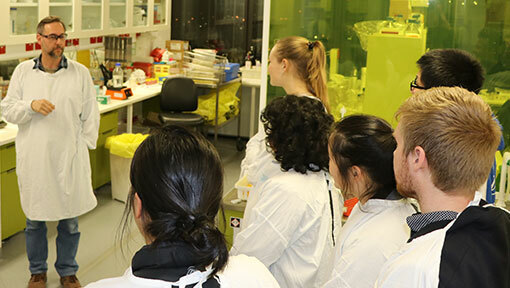 Image: Dr David Tyssen takes students on a lab tour. Image: Dr David Harrison conducting a tour. 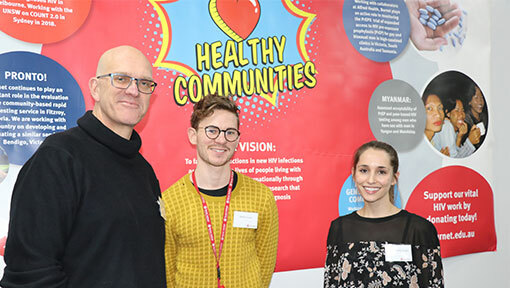 In 2019 Burnet is offering projects ranging from, Using mathematical models to reduce malnutrition among children to Mapping public injecting drug use in urban Melbourne to Discovery of a new drug class for HIV treatment and prevention. Download the 2019 Burnet Institute Student Booklet. Image: (L-R) Dr David Delgado Diaz, Dr Raffi Gugasyan and Alyce Wilson. 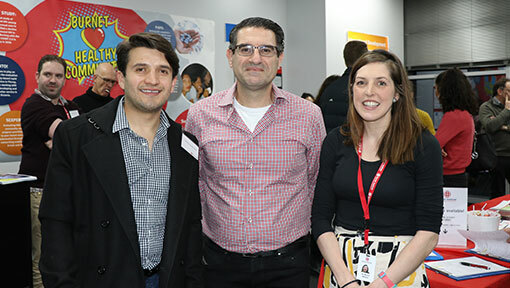 Burnet Education Officer Dr Raffi Gugasyan, said it was inspiring to see so many students considering postgraduate opportunities and encouraged them to visit our Education portal. 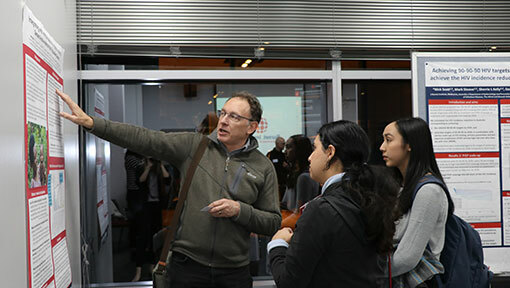 “The students had the opportunity to meet Burnet students and research Group Heads to discuss potential projects across all three Disciplines. Overall, the event was a great success. 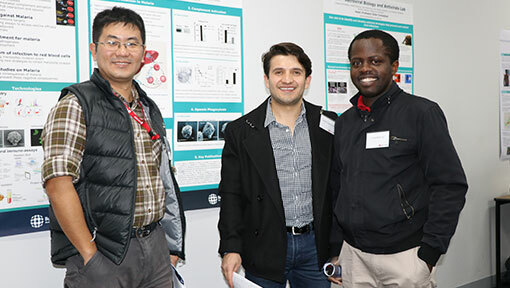 Image: (L-R) Burnet’s Dr Gaoqian Feng, Dr David Delgado Diaz and Dr Herbert Opi. Image: (L-R) Professor Paul Dietze, Reece Cossar, and Dr Cassandra Wright. Image: Head of International Development, Dr Chris Morgan explaining a project. Couldn’t make it on the night? Get in touch with our Education Officer Dr Raffi Gugusyan or the individual researchers leading student projects - Download the 2019 Burnet Institute Student Booklet.